Everybody knows how difficult is to instruct newbies in the enterprise when they ask things that maybe even you don't know. That's why a lot of enterprises decided to have its own knowledge base, whatever the reasons is e.g documentation, instructions for interns etc. However they don't invest development time as well when there are open source tools that accomplish this need. 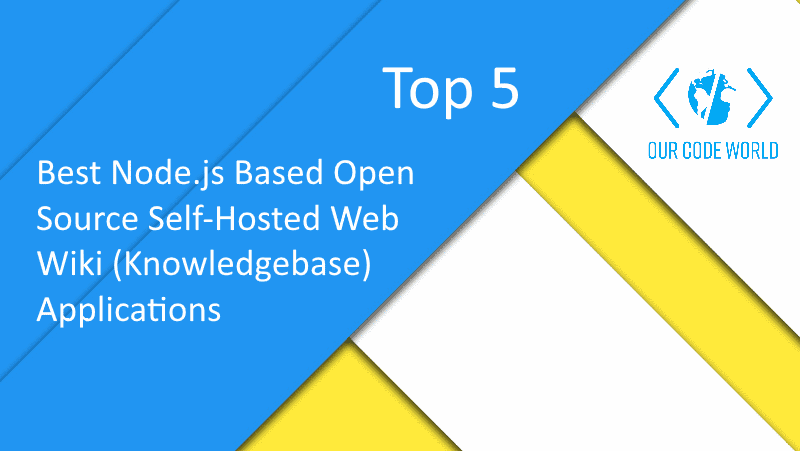 In this top we will share with you 5 open source Node.js based open source wiki applications that you can easily host on your own servers and get started with the documentation of your projects. Search: openKB is a search based Knowledge base (FAQ) backed by Lunr.js indexing to create the best possible results on searches. Design/Themes: openKB is meant to be simple flat design. 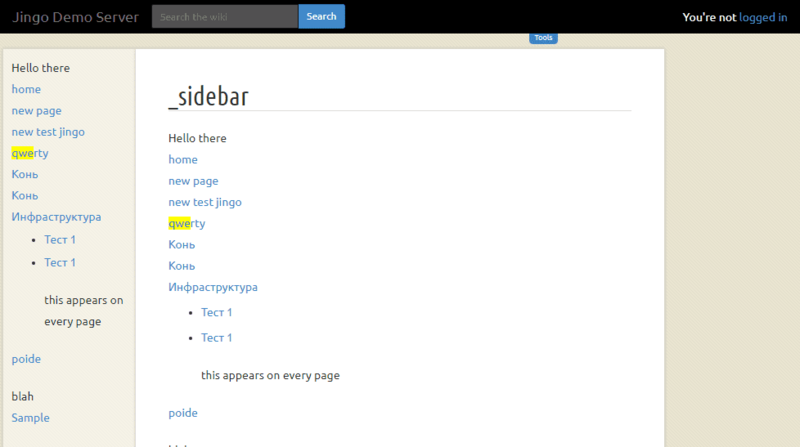 Themes can be added by creating a theme folder within public/themes/. See the example theme for more information. Responsive: openKB is built using Bootstrap allowing it to be responsive and work on all devices. The admin can be a little difficult editing Markdown on smaller screens. Mermaid: openKB allows for Mermaid charts in articles. 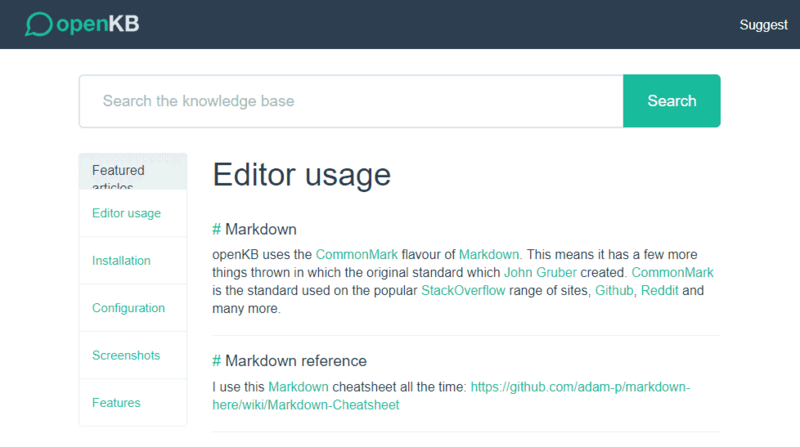 Editor: openKB uses Markdown-it which is based off the CommonMark spec. This allows for the very best Markdown experience. Image management: openKB allows for drag and drop of images into articles. The image is automatically uploaded to the server in the background. Google Chrome users can also paste images directly from the clipboard. Matterwiki is a very simple and beautiful wiki for teams so they can use it to store documentation, notes, culture guidelines, tutorials, employee onboarding content and everything they want to. 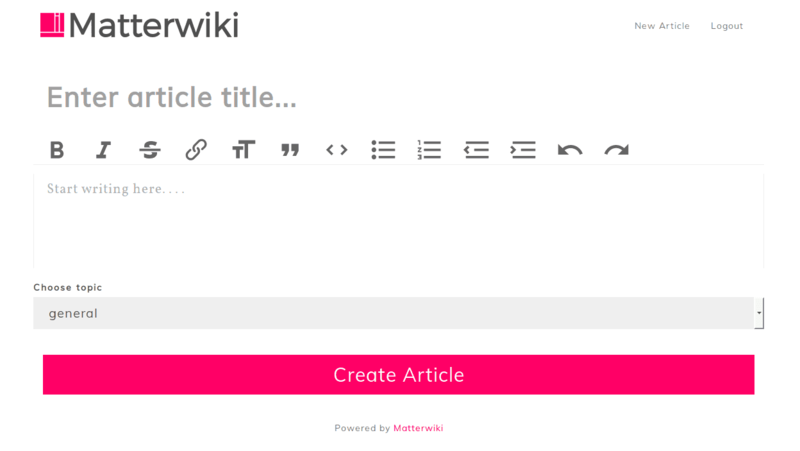 Unlike traditional wiki softwares, Matterwiki uses a simple WYSIWYG editor. That means, No complex formatting or structure to follow. The editing environment you're comfortable in. WYSIWYG = What you see is what you get. 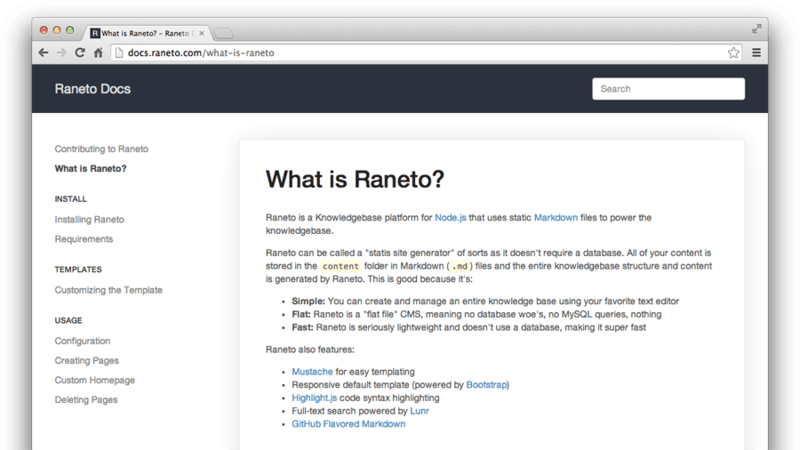 Matterwiki uses a Node.js API with a React.js front-end and Sqlite3 for the database. 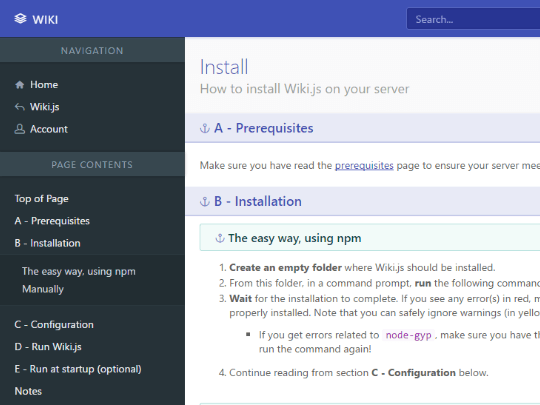 Wiki.js is an open source, modern and powerful wiki app built on Node.js, Git and Markdown. The most know features of this wiki is the usage of the simple Markdown format, its is very lightweight, has an integrated access control (register service), social network login to provide a seamless login experience to your users and an useful and intuitive Assets Management feature. One of the most awesome factors that place Wiki.js in the first place of this article is their awesome feature of making all of your content beautiful graphically. Content is processed into a beautiful reading format, presented inside an elegant user interface. A sidebar menu is generated for each page based on your headers and sections are rendered in different colors to enhance readability, that's pretty great right?. And as mentioned in this article, uou are free to look at the complete source code and contribute new features! Host it on your local servers, in the cloud or even at home. It's totally free. If you know another awesome open source application to create a wiki/knowledgebase to host it on your own servers, please don't be shy and share it with the community in the comment box.